Today is one of my favorite days of the year - Savor: An American Craft Beer & Food Experience. Back again in DC and sponsored by the Brewers Association, the Experience features two beers from 76 breweries and paired with food created by Chef Adam Dulye of The Monk’s Kettle in San Francisco in collaboration with Occasions Caterers. The 2014 SAVOR collaboration beer is the Hydra Cuveé brought to us by Firestone Walker Brewing Co. and Flying Dog Brewery. This beer is a blend of four different beers—two barrel-aged beers, a robust imperial porter and a black rye IPA. In keeping with Greek mythology, the hydra represents three distinct parts—the lion, the bear (both from Firestone Walker’s insignia) and the Flying Dog. I will be attending the Bottle Conditioning 101 Salon featuring Jason Perkins, Allagash Brewing Company; Garrett Oliver, Brooklyn Brewery; Steven Pauwels, Boulevard Brewing Company; and Brian O'Reilly, Sly Fox Brewing Co. I'll be posting on Twitter (@winecompass) and follow along with the #Savor hashtag. 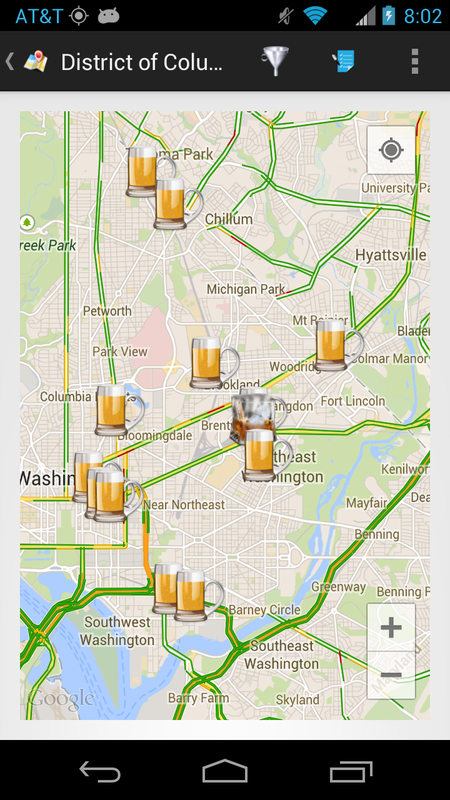 And if any attendees want to visit the area breweries beforehand, theCompass mobile application can help. Cheers.